We are a premier Live Music & DJ company providing exceptional entertainment for special events, parties and weddings. We have in-house packages to fit a wide range of events and budgets. And, we are proud to be partnered with Acoustic Spot Talent Group, allowing us to provide the top West Coast artists, as well as complete stage, sound and lighting production for larger events. We pride ourselves on being true professionals on every level. Call for a customized quote! Mike Officer - Owner and Founder of M.O. Event Entertainment, Mike is a veteran professional musician and DJ with over 15 years of experience. He has toured nationally, opening for legendary performers such as B.B. King and Citizen Cope. 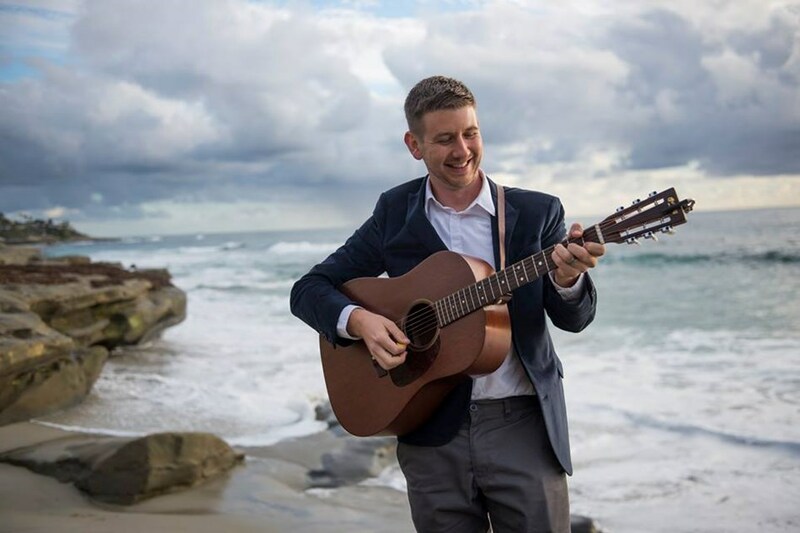 He is a winner of the San Diego Songwriter of the Year award and attended the renowned Musician's Institute in Los Angeles, where he was the honorary performer for his graduation ceremony. Mike's experience extends beyond musical skills into event planning and coordination, with excellent customer service and attention to detail to make sure every event is a success. DJ Jay Liebel - DJ Liebel grew up in Los Angeles immersed in the Hip Hop scene, and is an experienced rapper, producer and audio technician. He brings these skills to the DJ world and is an excellent event and party DJ. His main focus is to customize each event to the client's preference and keep the dance floor pumping. If there were more than 5 starts available, Mike would definitely have gotten more. Mike Officer was AMAZING!! I found him on GigMasters after my wedding planner had not come through with the ukulele player we had paid her to do within our contract. He was super professional and sweet! He was eagar to learn new songs we had on our playlist and even sent over recordings of each for us to hear and have as a momentum of our special day. When he arrived to our ceremony site and I was a huge mess because our wedding planner once again failed to deliver, he was more than just our musician and offered to help anywhere else he might have been needed. Awesome musician! I HIGHLY recommend Mike Officer. 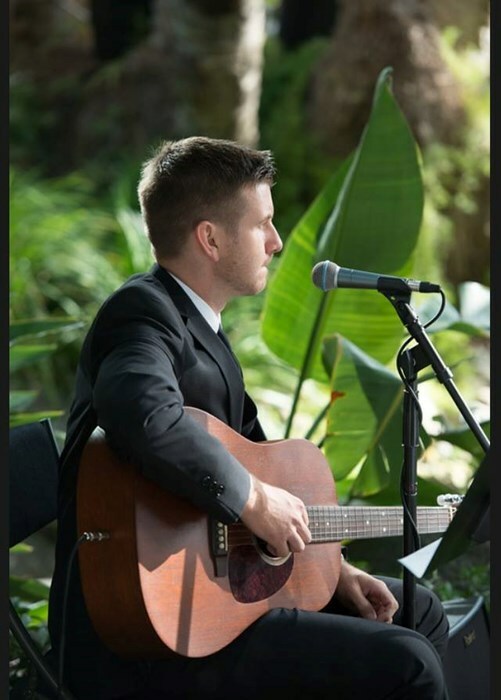 He is a very talented musician who we hired to play for my daughters wedding. He did not know, some of the attendees where professional musicians. All enjoyed his music and complemented his professionalism and artistic skills. He is the one you should select. If you want everyone at your even to have an AWESOME time, hire Mike Officer!!! He made our event a complete success and so enjoyable and magical! He was so positive, accommodating and his musical talent (singing and guitar) and ability to read the audience's vibe and know what song is wanted and needed at any given time is his second nature. His song list is amazing. I got to pick the songs that were a good fit for our event easily, and and he was able to add last minute requests easily. Thank you Mike! You Rock Big Time! Cheers to you! Mike came through and made a last minute request a reality! Within a few hours he was able to learn, provide a full recorded version and do a live performance of a song to help me propose to my fiancee. He fit me in his busy schedule and was patient and proffessional through the entire process. Mike's presence made simple act an unforgettable moment. Thank you man! We'll definitely be in contact for the wedding. Mike was AMAZING!! Was so professional yet fun! Everyone wanted his card and thought he was amazing too! Highly recommend him for anything and will definitely be using him again. Thank you for making our night memorable! Outstanding, truly. You will not be disappointed in hiring Mike. Mike is absolutely fabulous! He is wonderful from start to finish. He was very easy to contact and wanted to truly work with us to make sure he understood exactly what we were wanting, what our style was, etc. My husband and I asked for him to join us and play for our intimate wedding reception/dinner. His music, style and voice are all perfect! We enjoyed all of the songs he played, and truly enjoyed his company while at the reception. He is a true professional, and I would recommend him time and again. Thank you Mike! Mike was fantastic! He was prompt, and worked with us on the list of songs. He made our rehearsal dinner dessert, campfire on the beach, a great success! Everyone had such a relaxing and enjoyable evening, especially the bride and groom to be! Thank you Mike! He was not only very professional but also very dedicated to his assignment. He brought his own gear and kept in touch with me with recordings of him singing the requested song. Mike Officer made the music one less thing to worry about and a very rememberable moment for us when the groom lip syncs to Mike singing during the ceremony. Please note Mike Officer will also travel to Poway, Rancho Santa Fe, Escondido, Del Mar, San Marcos, Santee, Solana Beach, Cardiff By The Sea, La Jolla, Encinitas, El Cajon, Lakeside, Ramona, La Mesa, Carlsbad, Vista, Lemon Grove, Spring Valley, Oceanside, Valley Center, Alpine, Coronado, Bonsall, Lincoln Acres, National City, Bonita, San Luis Rey, Chula Vista, Pauma Valley, Jamul.